Michael Peters is a guitarist from Cologne. Most of his musical output veers from the mainstream and has been difficult to categorize (WIRE magazine has reviewed two of his albums in their “Outer Limits” section). Most of Michael's guitar playing relies on improvisation and is usually extended by electronic effects, midi, and livelooping techniques, sometimes using the classical "Frippertronics" method based on tape delay. His solo works contain ambient/experimental guitar music, but also sound collages, algorithmic music, and field recordings. 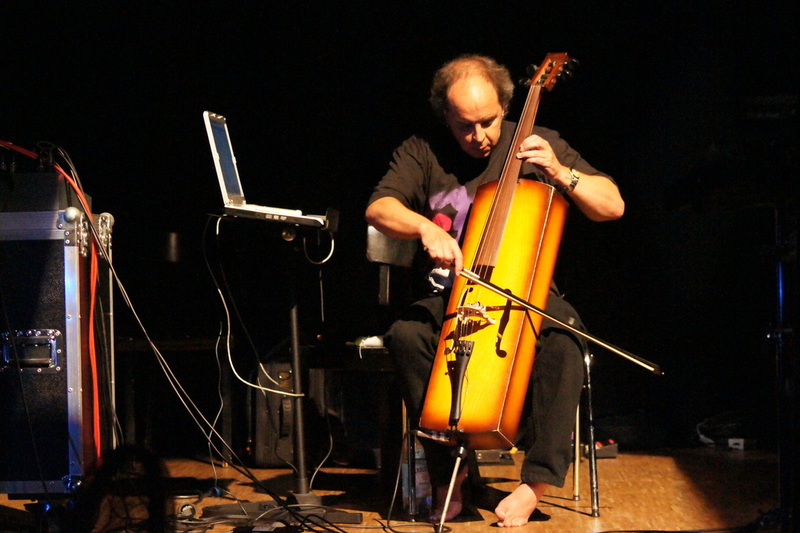 He has played in punk bands, ambient projects, avant rock bands, and open improvisational groups. Michael has organized three international livelooping festivals in Cologne (livelooping.de) and a number of experimental guitar evenings (experimentalguitarevening.com), collaborating with other guitarists. He has performed on livelooping festivals in Europe and the US. Entertainment for the Braindead is the solo project of Berlin based singer and multi-instrumentalist Julia Kotowski. Since 2007 she has been dedicating herself to the creation of very quiet sounds, weaving the noises of small instruments, field recordings and delicate vocal arrangements into introvert folk songs. The results have been published in various, often half conceptual releases on web platforms and as hand crafted cd editions. Meanwhile in a live context they are being recreated piece by piece from multiple layers of looped instrumental licks and voice. Emmanuel Reveneau is a French artist involved in music, video and theatre, whose work is deeply informed by self-organization theories, situationism and irony. 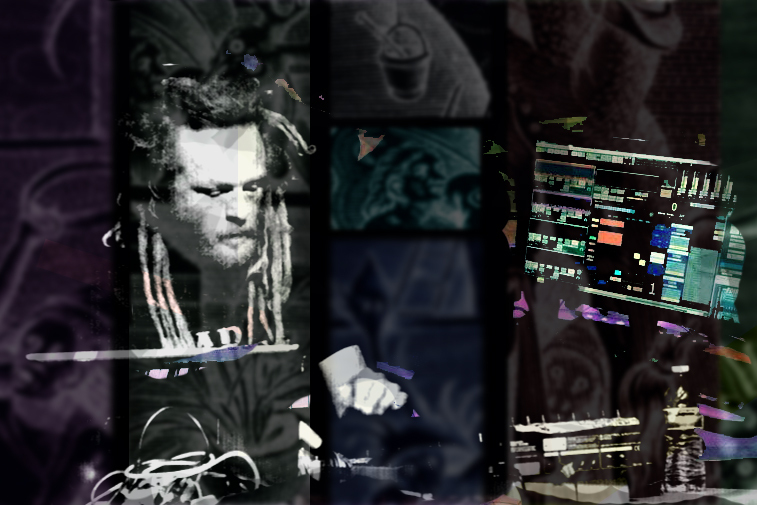 He currently uses self-designed looping software, Noundo, to improvise wacky groovy soundscapes, and produces loopfests in France since 2013, the so-called Loop Jubilee series. Before being a clarinetist, Nelly Meunier was an archeologist. Since ever searching links between past and present, she currently plays with the collective Orkestronika, the circus company Tewhoola, amongst others, and develop her solo project: PREHISTO’ZIK. 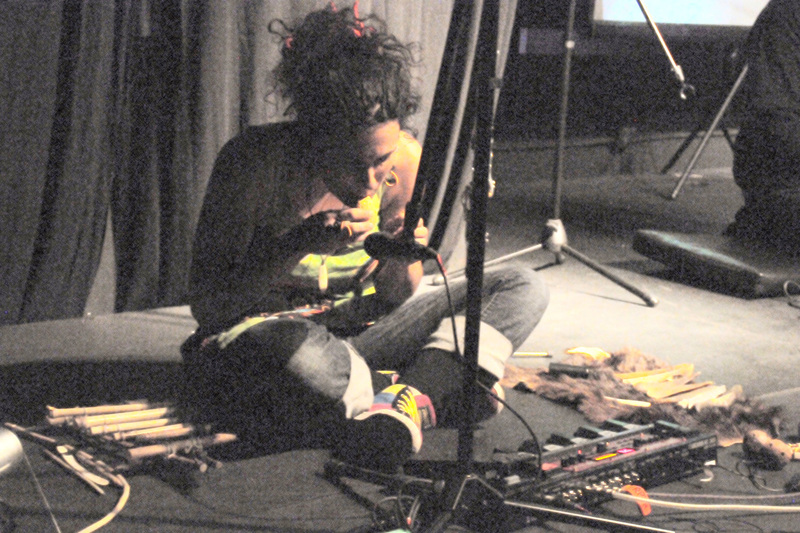 in which she makes her own instruments, based on actual archeological and ethnological knowledge, and loops those miscellaneous items with a RC505, to create ancestral landscapes. A classically trained violinist with a background in improvisation, Heather Summers has added more instruments over the years and has performed & recorded with various folk and world bands in Wales and Australia. She loops live on stage, fuses genres and creates big soundscapes. In her own compositions and arrangements, using voice and spoken word, she play and loops all instrumental parts. Eclectic. Steve Moyes is a multi-instrumentalist, improviser and composer, based in Wales. Since spending the 1980s and early ‘90s playing in experimental rock bands, he has dedicated himself mainly to the practice of free improvisation. In the last 20 years, he has been performing solo and in various small groups, often collaborating with dancers, film makers and other artists. For his solo looping performances, he uses software, which he sets up differently each time, to keep the music as fresh and unpredictable as possible. He never wants to play safe. His main instruments are cello and electric guitar. He also uses, woodwinds, electronics and home-made instruments. The project ecnegrU was born in 2011. Before that, Romain Couillaud had many musical experiences between France and Italy, first as a player (in bands such as Otakatroi), as a live sound engineer and finally as a producer in his own home-studio. ecnegrU is therefore a mix of all these experiences, a kind of multi-instrument Live Production: every piece is played, mixed -and sometime remixed- live. ecnegrU has played festivals with various local, national and international artists, like Adrian Sherwood, Rick Walker, Steve Moyes or Dub FX. Initially inspired by the Beatles and Peter Green's Fleetwood Mac, he survived a headlong rush through blues, "prog", fusion, punk, and jazz - plus: a failed audition with Henry Cow. Now living in Penarth, David's main musical focus is ambient guitar and "livelooping" - the use of digital technology to capture phrases of music and sound, then "loop" them to produce repeating patterns which gradually develope into evolving musical compositions. His palette of influences ranges from jazz guitarists Pat Metheny, Bill Frisell and David Torn; minimalist composer Steve Reich; Brian Eno; and African music.